Pug Price and Cost- How Much Does A Pug Really Cost (PUPPIES, BREEDERS..)? At first glance, the Pug price tag may seem pretty steep, but when you consider how much personality comes within their petite package it starts to look like a bargain! If you’re considering Pug adoption, keep reading. In this article, we’ll help you get to know this boisterous breed better. We’ll also share all of our best tips on how to find the perfect Pug puppy for your family at an agreeable price point! One of the most important considerations to make before you buy a Pug is what type of care he will require. Because of their compact size, Pugs make excellent dogs for owners who live in small spaces. That said, don’t make the mistake of believing your Pug will be a couch potato. These dogs are highly energetic and require daily exercise. In addition to their exercise needs, Pugs require a little bit more grooming than an average dog. Their short coats shed steadily but establishing a weekly brushing routine will help keep it under control. Many Adore the Pug dog breed for their signature facial wrinkles, but are you prepared to care for them? It’s essential to clean your Pug’s skin folds regularly to prevent infection. It’s not hard work, but it’s important not to forget! 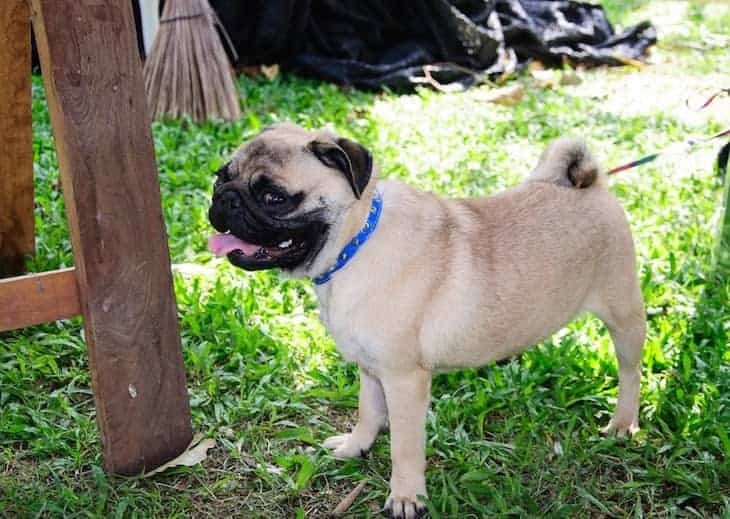 If you’re not keen on grooming and bathing your dog on your own, that’s no problem, however, be sure to factor the expense of a groomer into the overall Pug cost of ownership. How Much Do Pugs Cost? You know you’ve got your heart set on a Pug, but what does your bank account have to say about that? The Pug average price ranges from $600 – $1500, but it’s possible to spend a lot more than that! Wondering how there could be such a significant variance in Pug price? As a general rule, Pug puppies price is higher than grown-ups. However many different elements affect the Pug price range. For one thing, the characteristics of the pup play a significant role in determining prices. Some traits are more rare or trendy than others, which means Pug breeders can charge more for them. Show-quality dogs with prestigious lineage also command higher prices. If you’re dreaming of purchasing a Pug to be a show dog, it may be worth it to you to pay higher prices for prize lineage. On the contrary, if you’re merely looking for an animated family pet, you may interest you to learn how to save a little on a Pug price. Following are a few considerations to make when looking for ways to save on the price of a Pug (while still ensuring you bring home a healthy pup). Pugs come in three coat colors: black, fawn, and silver. Fawn is statistically the most popular coat color for the breed. As a result, breeders can charge more money for these pups as the demand is higher. If you’re looking to save a little money keep this factoid in mind! Black pug puppies for sale will likely cost the least, as they are the least favorite coat color. 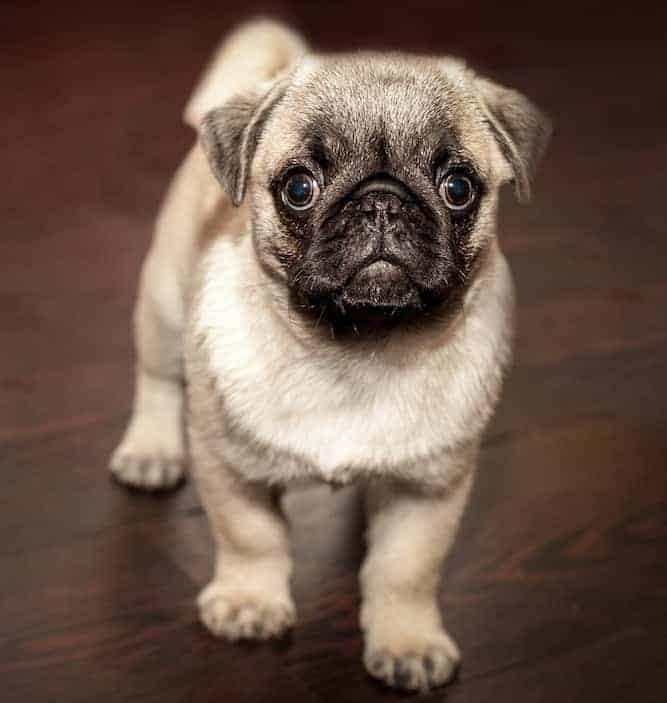 Generally speaking baby Pugs for sale will be more expensive than adult dogs, as most prospective owners can’t resist the allure of a wiggly pug puppy. Purchasing a slightly older dog is a great way to save a little bit of money. If breeders have young adult dogs in stock, they will often let them go at lower prices than puppies to incentivize buyers. It’s hard to resist the adorable allure of a baby Pug, but these older dogs are often still puppies in every way apart from size! As a bonus, sometimes they’re already potty trained! Rescue is a great way to save a significant amount of money when bringing home a Pug. For one thing, the cost of adopting a Pug is typically only $200 or $300. 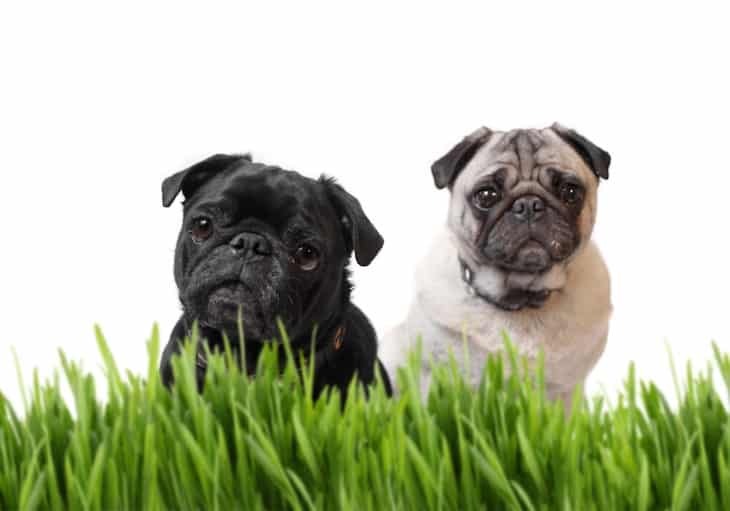 That might seem like a lot to pay for an adopted pet, but remember, Pugs for adoption will already be spayed or neutered and up to date on shots. With that in mind, adopting your new best friend almost pays for itself! Over the past few years, so-called “designer dogs” have become increasingly trendy. What this means is that breeders will breed-specific traits into their stock, or create hybrids to achieve a desired combination of characteristics. Recently there have been a couple of Pug designs that are very trendy. These include the white Pug and the teacup Pug. Let’s take a closer look at both of these “designer” Pugs to see what all the fuss is about! Teacup dogs are all the rage at the moment. After all, what could be better than a dog that is perpetually puppy-sized?! Because they are undeniably cute, teacup Pugs for sale command enormous prices up to $4000! However, there is some debate as to whether or not these dogs are ethically bred. A teacup Pug is just a tiny version of a regular Pug, not a separate breed. 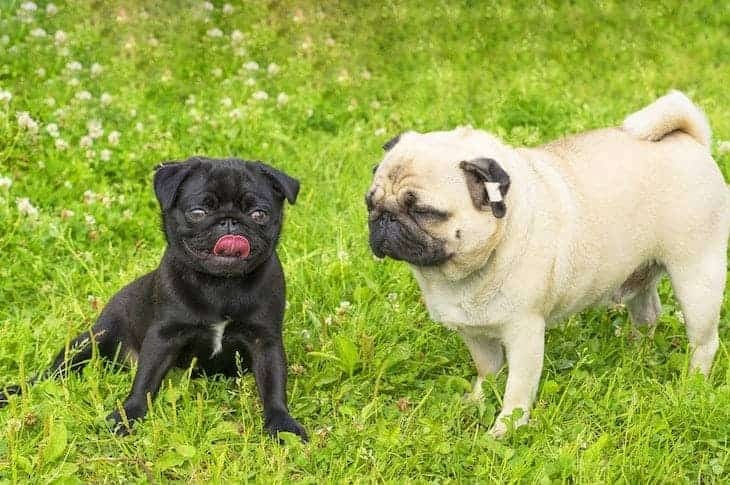 There is a concern in the breeding community that these dogs are just the product of breeders repeatedly breeding runt Pugs to achieve a tinier dog. This practice may not sound bad, but genetically speaking, it may result in weaker genes and subsequently more health problems. These dogs may have shorter life spans due to weaker immune systems and a higher propensity for illness. If you decide to purchase a teacup Pug, make sure you receive a certificate of health from the breeder. Similar to teacup Pugs, white Pugs are a designer strain of pups explicitly bred to have white coats. Their popularity is attributed to the fame of an adorable white Pug fittingly named Marshmallow. There is concern that breeding white Pugs repeatedly could result in inbreeding and other negative genetic implications. Ultimately it’s your decision as to whether or not a white Pug is right for you. If you choose to purchase one, make sure you’re prepared to pay the price. White Pugs for sale cost somewhere in the neighborhood of $2000! If you’re looking for a playful, affectionate and pint-sized companion, a Pug might be just the right choice. 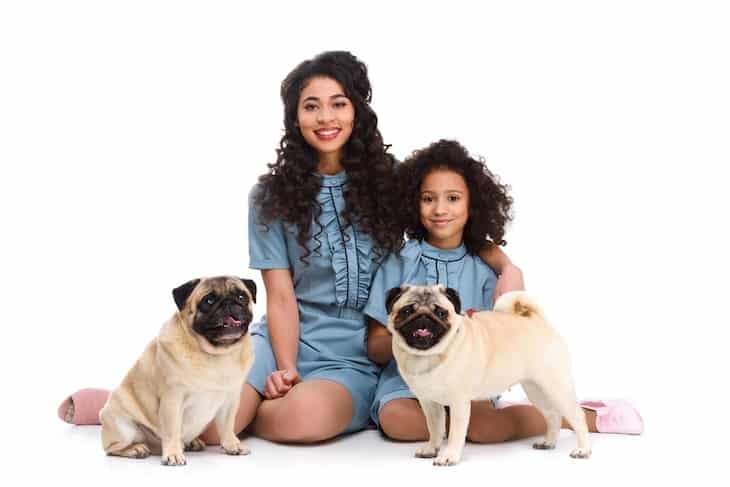 Pugs love kids and make excellent pets for families due to their propensity for playtime and tolerance for just about any living environment. There’s no doubt that adopting one of these bold pups will add joy to your life, as long as you’re prepared to take the time to clean their facial folds. When looking for the perfect pup, remember that there all kinds of different factors that affect Pug price but at the end of the day, a new best friend is priceless.